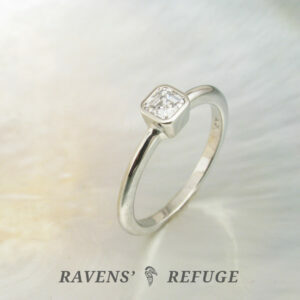 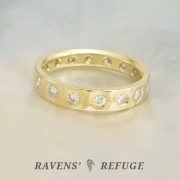 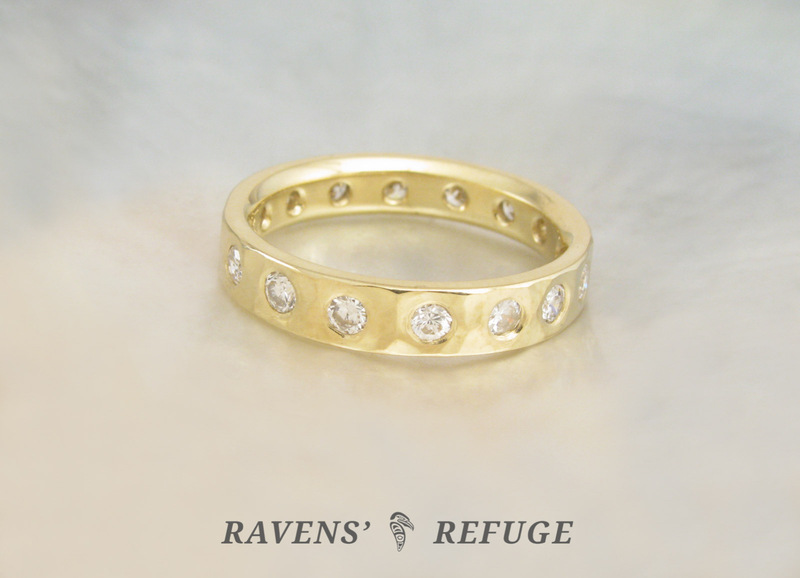 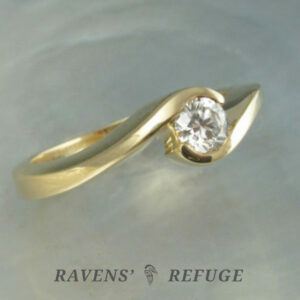 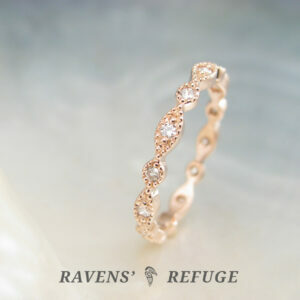 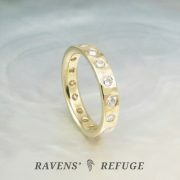 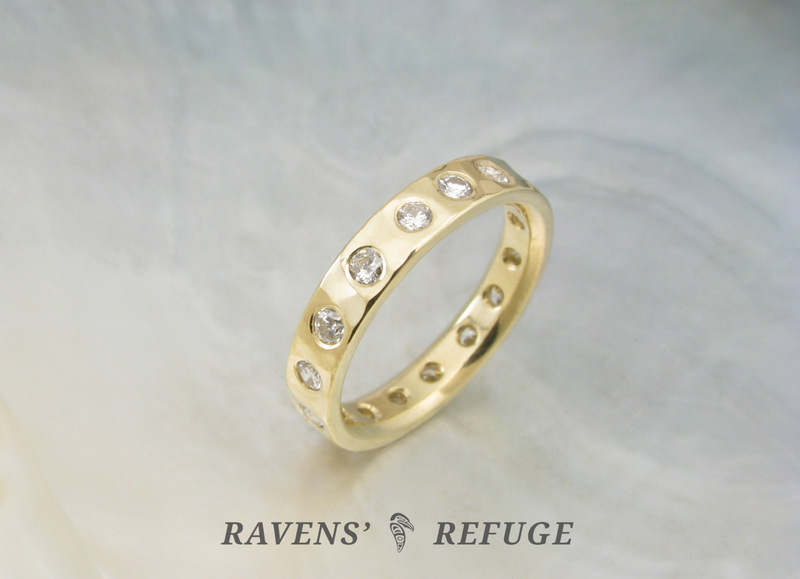 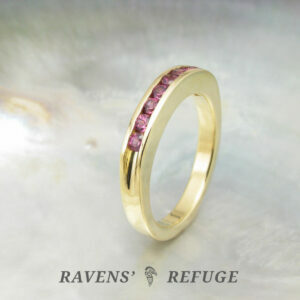 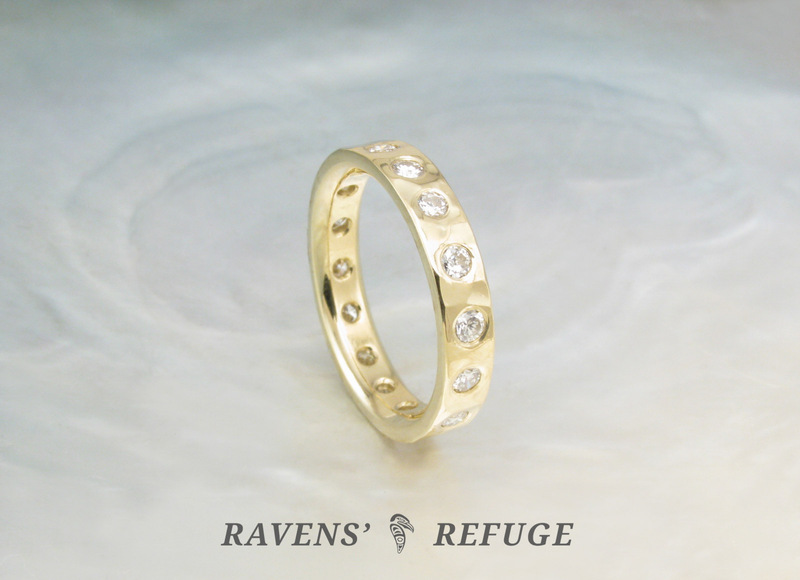 A backdrop of waterfall hammering gives this ring a natural and organic aesthetic. 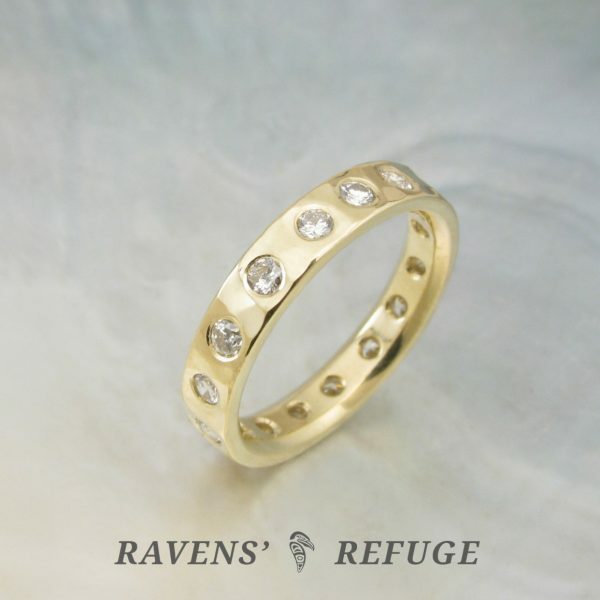 The true stars are sixteen .03ct diamonds, with a total weight just shy of a half carat, flush-set around the perimeter of the glowing 18k band. 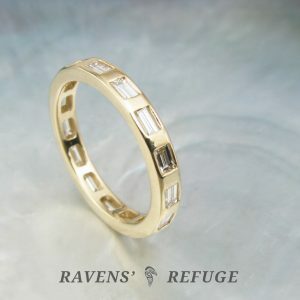 Imbued with a quiet beauty, the ring is finished with beveled interior edges… ensuring that you will never want to take it off.